You can make the note drill easier or more difficult by changing the amount of time given to answer each flashcard. Tap the Settings icon at the top of the screen. Make your selection. 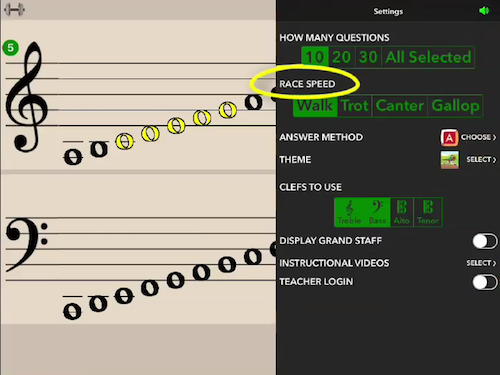 Walk gives the player the maximum time to answer (approximately 10 seconds) while Gallop only allows two seconds per flashcard.